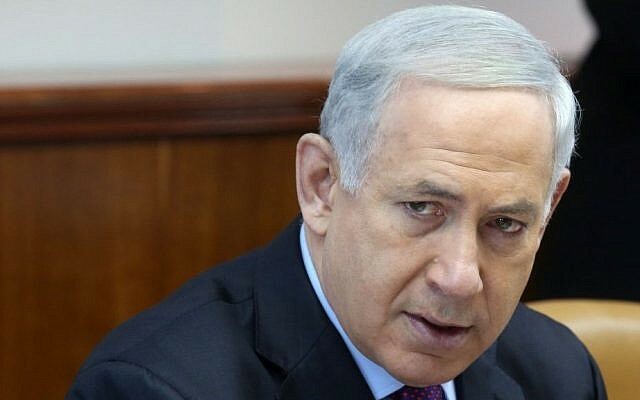 Prime Minister Benjamin Netanyahu on Sunday called on Germany and other Western nations involved in nuclear talks with Iran to ensure that the Islamic Republic does not attain the ability to manufacture nuclear weapons or the long-range missile capability to deliver them. 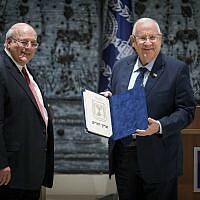 “I see with concern that Iran believes that it will complete its plan to become a nuclear power… with the ability to create a nuclear weapon and also to build intercontinental missiles, which Iran currently is engaged in without hindrance,” he said, speaking before the weekly cabinet meeting in Jerusalem. The prime minister said that despite the interim agreement signed with the West, Iran is still pursuing three things — uranium enrichment, weapons development and the ability to deliver a payload — meaning that it is “getting everything while giving nearly nothing” in return. Under the interim agreement, which was signed between Tehran and the P5+1 powers in November and came into effect January 20, Iran agreed to curb or freeze parts of its nuclear program for six months in exchange for limited sanctions relief. Netanyahu called on Germany and other world powers to “strongly stand by their demands” and prevent Iran from becoming a nuclear power. He was speaking with an eye to an upcoming visit on Monday and Tuesday by the German chancellor and members of her cabinet. 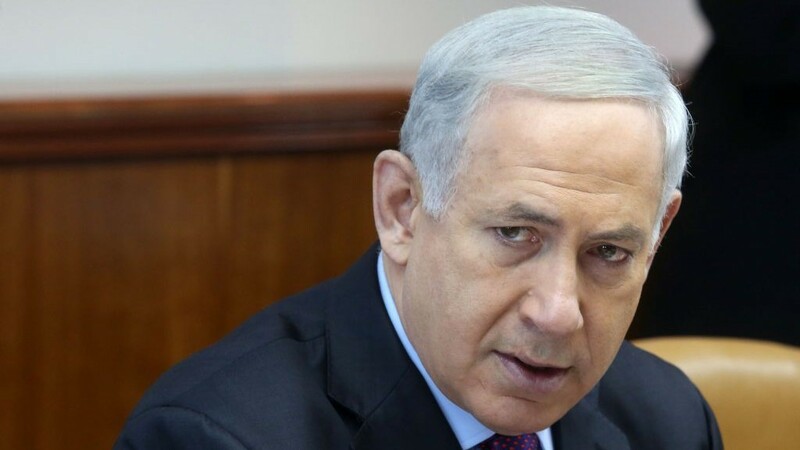 Netanyahu said he plans to hold high-level meetings with Angela Merkel on Iran and other issues, including ongoing Israeli-Palestinian peace negotiations. Iran and world powers will hold technical talks next week in Vienna ahead of a political meeting to negotiate a comprehensive nuclear deal, a top Iranian negotiator said Sunday. Iran and the P5+1 group of world powers agreed last week on a timetable and framework for the negotiations for an accord that would allay Western concerns about Iran’s nuclear program in return for the lifting of crippling sanctions. “The issues on the agenda are enrichment (of uranium), the lifting of sanctions and international cooperation on peaceful nuclear energy,” said Abbas Araqchi, also a deputy foreign minister. He did not specify the dates but the board is set to convene a meeting in Vienna from March 3 to 7. Negotiators hope to reach a final accord by July 20, when the interim agreement reached is set to expire. Western nations and Israel have long suspected Iran of pursuing a nuclear weapons capability alongside its civilian program, charges denied by Tehran. Political directors from the P5+1 group of world powers — the United States, Britain, France, China and Russia plus Germany — are set to resume talks with Iranian nuclear negotiators on March 17 in Vienna. EU foreign policy chief Catherine Ashton, lead negotiator for the P5+1, will visit Tehran on March 9 and 10, an EU official said. Echoing Netanyahu’s own demands of the P5+1, the American Israel Public Affairs Committee urged Congress to outline terms for a final nuclear accord with Iran that would include dismantling its nuclear program. “We urge Congress to outline for Iran the acceptable terms of a final accord,” said an op-ed in The New York Times on Saturday signed by AIPAC President Michael Kassen and Lee Rosenberg, the chairman of its board. “This must include, at a minimum, the dismantling of its nuclear program, so that Iran has neither a uranium nor a plutonium pathway to a nuclear weapon,” it said. This was part of the message, the writers said, that thousands of AIPAC activists would take to Capitol Hill next week during the annual AIPAC policy conference. Obama administration officials have said that a total dismantling of Iran’s nuclear program is an unrealistic expectation of the talks now underway between Iran and the major powers aimed at finding a formula to keep Iran from obtaining a nuclear weapon. In Jerusalem to brief Israeli leaders after the latest round of Iran talks, Undersecretary of State Wendy Sherman said she would not count out an Iranian enrichment capacity as an end result. “The objective here is to ensure that Iran cannot obtain a nuclear weapon and that its program is exclusively peaceful,” she told Israeli reporters on Saturday. The Joint Plan of Action is the interim sanctions-for-nuclear rollback deal that allowed the current talks to take place. The AIPAC op-ed notably did not embrace any specific legislation and noted that while the lobby still backed new sanctions that had been proposed in the Senate, it also backed delaying a vote for now. President Obama had threatened to veto new sanctions legislation, saying it could scuttle the talks.